The House of Queens does not judge. We just present a comparison of the two cities’ LV displays. I bought the Sony NEX 5 a week ago. 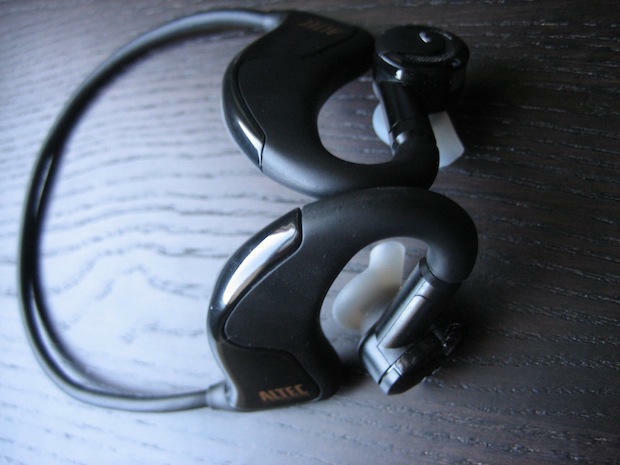 It is the latest addition to my arsenal of gadgets. I have thoroughly enjoyed using it in taking pictures of the dogs. Midori’s Facebook fan page has been updated with multiple pictures of her and Char Siew through the lenses of the NEX 5. They have been getting good reviews. So I guess you can say that the camera serves its purpose. It allows someone like me, a non-photographer, to take great photos. Today, I am sharing my excitement over another feature of the camera that I stumbled upon. It’s an important feature for me because my second most photographed subject is myself ( next to my dogs ). I am a total Camera Whore. Ever since the mobile phones have been equipped with a camera, I must have taken thousands of pictures of me. Most of them are shot within arms length because that’s the farthest that the camera can go with me pressing the shutter. However, there are times when I wanted to take a picture of my background and the arms length method just doesn’t work. This is where the Smile Shutter is brilliant. The Smile Shutter is Sony Camera’s technology that allows you to tell the camera to release the shutter when the subject smiles. For my needs, I can rest the camera on a stable surface with its lenses focused on the area where I will situate myself in the picture. When I am comfortable, I smile – and the picture gets shot. Isn’t that awesome? Ever since the Internet was invented, gay men have taken advantage of its capability to prowl the queendom and find a friend, a mate or the next date. There was ICQ, message boards, Friendster, Planet Romeo, Facebook, Twitter, and others. Every time there’s a new means to communicate and connect with other gay men – you can be assured that the gay community is there to be the early adopters. I am one of the late adopters because I didn’t have an iPhone and I have an old version of the Blackberry which doesn’t run the application. However, I discovered that my iPod Touch runs the application and as long as there’s a Wi-Fi connection, I can login. iPhone triangulates my location based on my internet access. I created the account two weeks ago with the following profile picture. I did get some messages but not a lot. I am not sure if the men don’t find it attractive. I changed the profile picture to this one last Monday. I have been getting a lot of attention ever since. Maybe it’s the dog. I checked if my previous profile pic was unattractive by sending it to men who ask for a picture – and they said that it was a good looking picture. So I am not sure what drives them to make the first move with this newer picture. I have some hypotheses that needs to be investigated to see what makes the Grindr community interested. I will conduct the experiment and I will provide you with my findings. For now, I will try to enjoy the attention I’m getting from the men who stumble upon my profile. The title of this post can be a bit confusing for those who know that Char Siew is a type of sauce used in Chinese cooking. How can the Char Siew sauce be salt – you may ask? This article is not about the sauce. This is about my Chinese Shar Pei who is named after the sauce. Salt here does not refer to your table condiment – it refers to the latest movie of Angelina Jolie. One of my favorite bloggers, Jessica Zafra held a contest for her blog readers. She was soliciting pictures of readers who will mimic Angelina’s pose in this movie ( and all of her other movies ). It was open to everyone – even cats and dogs. People may argue that cats look more Angelina than dogs. I agree – but today – we took a picture of Char Siew and I thought – this would have been a perfect entry for the contest. Too bad – the deadline for the submission of entries was yesterday. When we stayed at the Manila Hotel, we were upgraded from the deluxe room to the suite. The room looked great and spacious. Our source of delight came from the walk in closets which we wish we could fill. The wall clock we discovered pales in “tongue in cheek” chic when we opened the drawers of the desk. There we found supplies complete with ruler, eraser and paper clips. We realized that the next time we’re going to have a study group, we will remind ourselves to check into the Manila Hotel. One of our favorite hang out is Bonifacio High Street. This is the strip mall near Serendra which features shops and restaurants with a lot of open space for pets and their humans. Midori, Char Siew and I love going there to meet other dogs. Our trip to Japan starts with Kyoto. Kyoto is actually part of the Kyoto-Osaka-Kobe metropolis and is accessible through the Kansai airport which is our port of entry to the Land of the Rising Sun. The House of Queens decided to spend our first day in Kyoto before heading out to Tokyo and spend some time again in the city before we head back home. Kyoto is an interesting city since it used to be the capital of Japan and during World War 2 – it was spared from destruction. This means that there are a lot of temples and structures in the city that can’t be found in the other big cities of Japan. Our visit to Japan was in the summer and therefore – the trees and plants are all green. There are some flowers in bloom but we were told that the best time to be in Kyoto is spring – during the Cherry Blossoms season ( Sakura in japanese ) or during fall ( when the leaves turn ). However, even with the summer, the city is beautiful, charming and interesting. A Chinese Restaurant found in Gion. A couple of SMART cars spotted in the City. Ideal for a city this size. The city is not as congested as Tokyo. Thus – you can find houses with a Garage. The Gion Tower. The tower is found close to the Kyoto Station. During the recent trip to Japan, we visited the Sony store at Ginza. At that store, you see the latest products of Sony – and at that time, the latest product is the 3D Television. I tried the 3D television and thought that it was cool but not for me. It seems to be really cool for gaming – but I was never an avid fan of games. The games that I like is fine within the 2 dimensions of the current computer screens and televisions. During our trip to Japan – there was a lot of grief in trying to take a picture of the Statue of Liberty, the Rainbow Bridge, and the Tokyo Tower at night time. We took so many shots before we got the right one. For the Sony Nex 5 – this process is made much more user friendly with the Twilight mode that comes with the Camera. You don’t even need a tripod and you can take low light pictures. Here is a sample picture that I took while holding the camera with my hands. The images are crisp and does not have the noise that I usually have with my previous point and shoot. Char Siew and Midori are not easy to capture in photos. They move a lot. What I found with the Nex 5 – is that when I use the Auto mode – even without the fill flash, I can actually take good pictures of the two dogs even if they are moving. In my previous camera, I can do this in intense light – but I have difficulty doing it in indoors with yellow light. The NEX 5 viewing screen tilts a full 90 degrees allowing me to lower the camera to the Dogs level without me lying down on the floor. This allows me to capture Midori’s moments when she is sleeping. There are other features of the camera that are great – but these four are the ones that I have used extensively during the first week that I have them. Please note that I am still retaining my waterproof camera – the Olympus Tough 8010. The Tough 8010 gives good pictures and as I said it’s waterproof. However – I’m very happy with my purchase of the NEX 5 and I look forward to more great picture taking moments with it. As the Royal Canine, this is what I do most of the time – count the hours till my next walk. I wait patiently till that hour close to sunset when my leash is brought out and I get to explore the House of Queens neighborhood. Utility holes are typically taken for granted by tourists and city residents. They are installed by the government or by utility companies ( electricity, cable, telecommunications, waterworks ) to provide ease of access in maintaining services mentioned above. In our city, the covers for these holes occasionally get lost. They are a big chunk of metal and can be sold for a hefty price. During our visit to Osaka, Japan – one of the utility hole covers caught our eye. It was colorful and presented an image of the Osaka Castle and the Sakura ( Cherry Blossoms ). We posted this photo on our Facebook page and an Uncle who lives in Tokyo, Japan was inspired to gaze on the road and see if there are other Utility covers in Tokyo which are as decorated as the cover we found in Osaka. He wasn’t disappointed. It turns out that it’s all over Japan. For those who are planning to visit Japan in the near future – it is natural to look up and gaze at the wonderful buildings. I hope that this post encourages you to look at the road as well – you may be as surprised by the House of Queens on interesting things that you will never know exists unless you look. In the big cities of Japan that we visited, there is an undeniable presence of French influence. This can be seen from the cafes, the restaurants, the designer bags, and yes even the structures that permeate through the city. This sign is found outside the clothing store: Loveless in Aoyama, Tokyo. We were walking past the store and the drama queen in me was compelled to have my picture taken beside the sign. You have seen my previous post on our adventure at Gion. Our primary aim was to take pictures of the Tea Houses in this old district of Kyoto. Our secondary aim is to spot Geishas and Maikos. 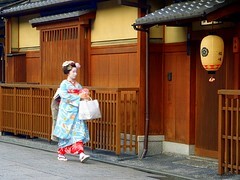 On our first five minutes at Gion we spotted a Maiko. We were not able to capture a photo of that Maiko because our cameras were not ready. We thought we will not be lucky enough to capture that experience on film; but like a miracle, we spotted a second Maiko. This is that photo posted in Flickr. It's getting a lot more attention than my other Japan photos. The wonder of it all is that the people who are viewing it are even identifying the name of the Maiko and the Okiya ( the house where she lives ). I knew there was something magical about that experience. It's just one of the wonders of my visit to the Land of the Rising sun. That's why I can't wait to plan my next visit. The House of Queens’ scheduled return to Manila from Japan was on Tuesday ( 13 July ). Our families were already contacting us and indicating that there is a typhoon in the Philippines at it might impact our flight. True enough – our plane wasn’t able to land at the Ninoy Aquino International Airport. The details of that story is in another blog entry. Since we were diverted in Cebu, instead of waiting at the airport, we decided to check into a local hotel. It was a sunny day in Cebu and by mid-afternoon we woke up and decided to grab dinner. This is not our first time in Cebu. The last time we were here, we had a blast and decided we will come back to try out activities and restaurants we were not able to try during our previous visit. One of those restaurants is Giuseppe, one of the many Italian restaurants in the City. We made our reservations and went to the restaurant. We had a great meal composed of Salad, Pizza and Osso Buco. For me, the Pizza ( which is Four Cheese with Ham ) and the Prosciutto Mango ( instead of Melon ) were great choices. The Osso Buco was good but it’s too big a serving for two people. I also ordered their house white wine which was too dry for my taste. They don’t have a wine selection and they really just have the house wine. The next time you are in the Queen City of the South, I recommend checking out the restaurant. You will definitely enjoy the meal and I must also say that their waiters are well trained: they were Cebuano but they did provide service like an Italiano making sure you feel right at home.